off the shoulder under $50. Happy Friday! 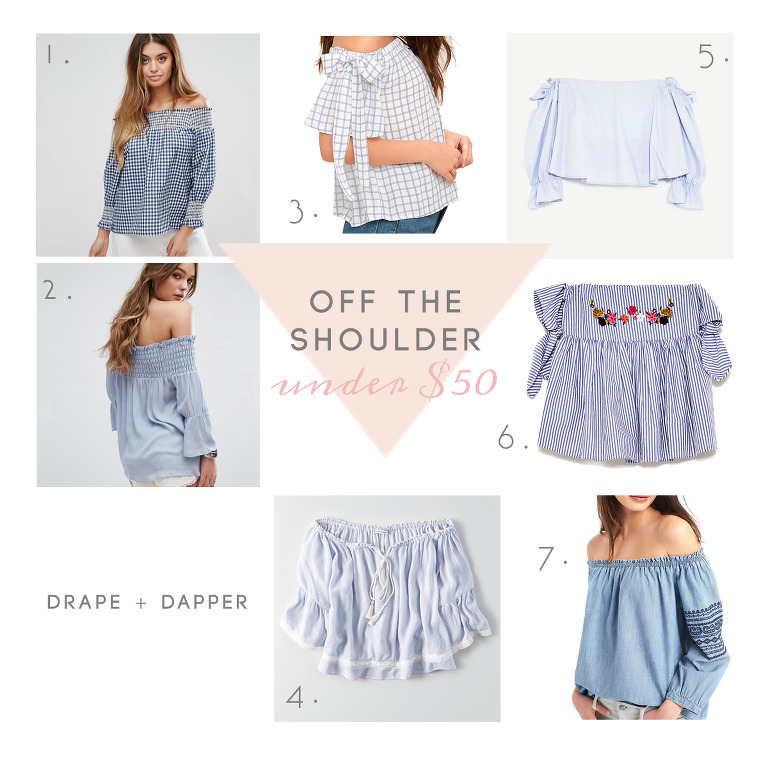 I’m loving anything blue lately, especially these off the shoulder styles. Pair these pretty pieces with white denim for the win!